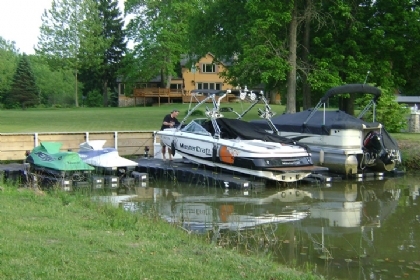 If you need a combination boat and pwc lift, then JetDock is right for you! Talk to our team by calling 1-800-538-3625. 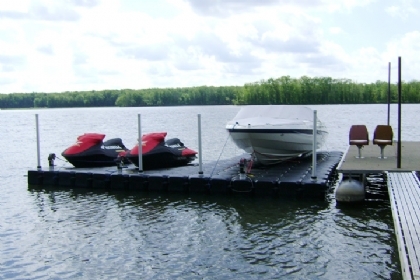 JetDock has worked hard to design and offer PWC and boat owners a floating boat lift that will completely raise your boat out of the water in addition to matching the needs of jet ski owners who also need jet ski docks. This has lead to a combination boat and PWC lift that uses no moving parts, and requires absolutely no electricity to operate. Whether you have an outboard, outboard/inboard, or jet drive craft up to 25’ and 5,000lbs, JetDock's static boat lift is the best investment you can make to ensure your days out on the water will to be worry free. 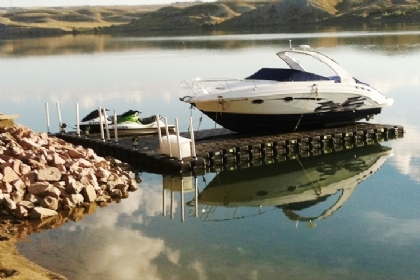 Find the combination lift that’s right for your watercrafts and dock area. The economy lift models have a lower use of materials, which in turn means they'll be less expensive while still keeping your craft out of the water. The Universal boat lifts work for any and all craft. The Wide body boat lift are suitable for heavier crafts while allowing more space to walk around the craft, giving the owner more access to the craft. All of our lifts come with everything you need for easy installation, this includes; a winch, fasteners, launch system, structural beams, and more. Don’t forget that air assisted packages can also be added for heavier crafts to increase the ease of use. For more information, call or click today. Check the specs and additional information of the Combination Boat and 1 PWC Lift or the Combination Boat and 2 PWC Lift below. If you are looking to expand from these options, our experts at JetDock can work with you to create a custom solution for your combination docking needs. Contact us today and we can help you! 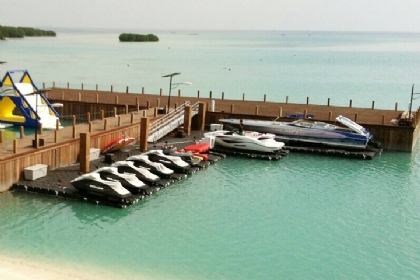 JetDock offers innovatively engineered PWC lifts that will get your water craft completely in and out of the water with ease, has no moving parts to create maintenance issues, and requires absolutely no electricity to function.